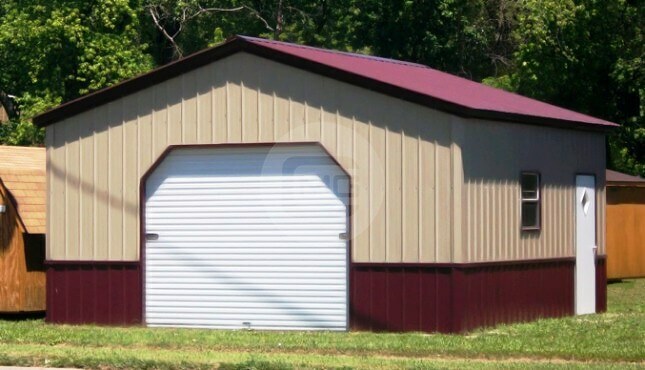 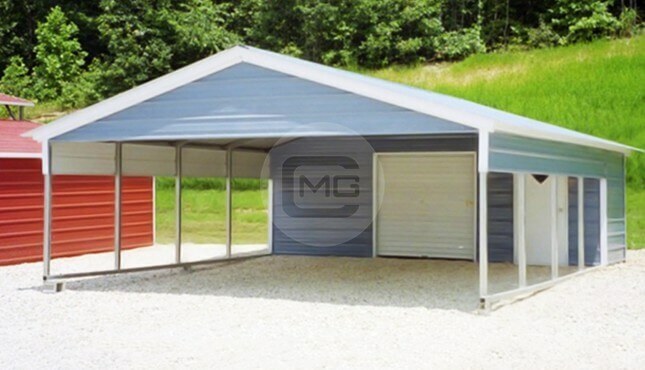 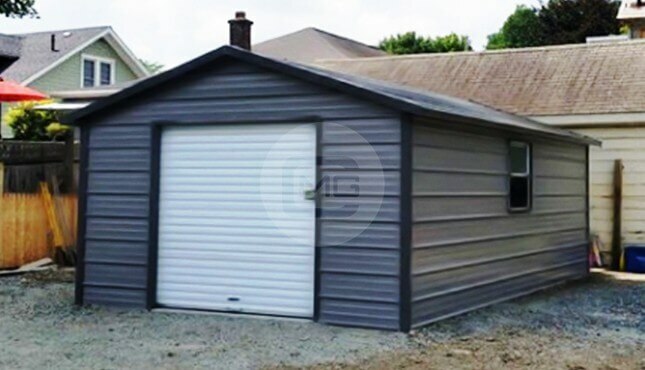 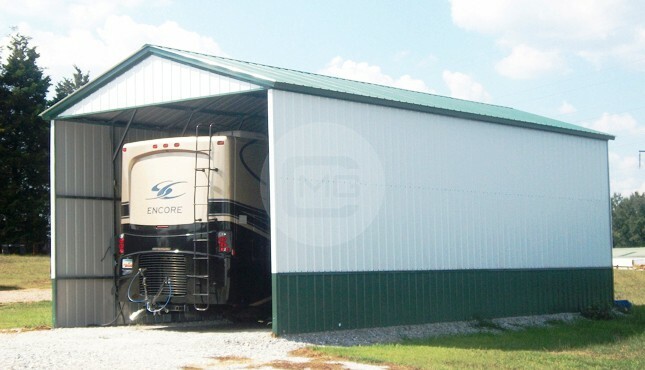 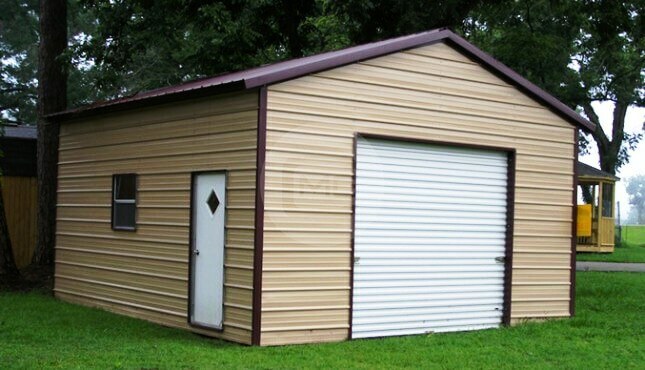 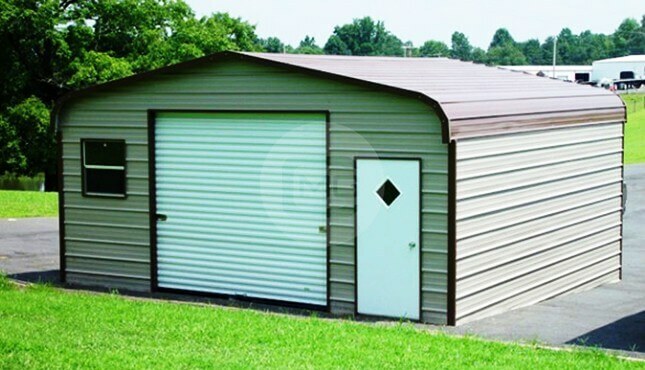 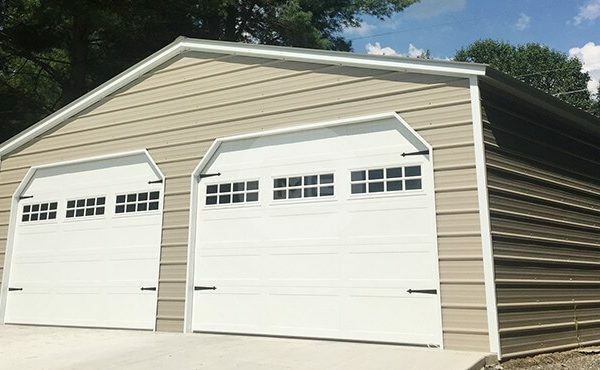 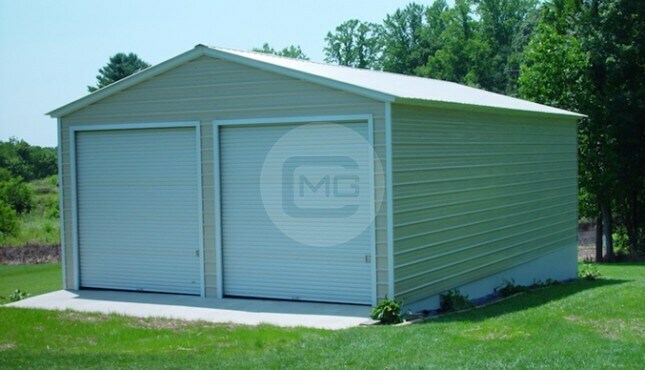 A 2 Car Metal Garage that features vertical roof on 30′ wide x 26′ long x 9 tall. 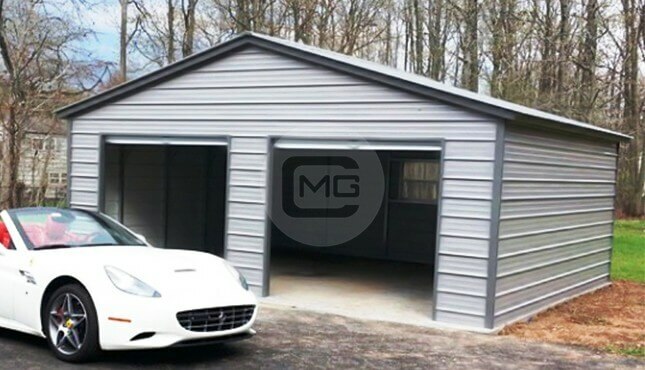 It is fully enclosed with (2) garage framed out openings (customer added their own aftermarket garage doors). 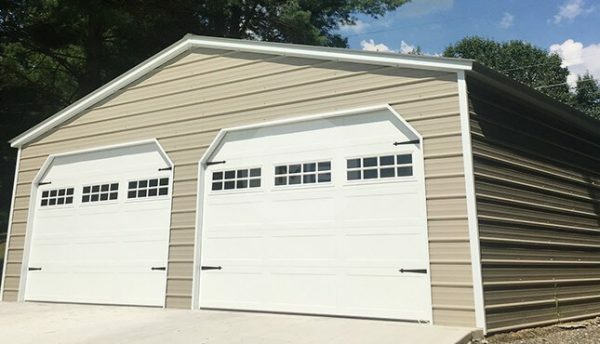 It has (1) walk in door and the garage door frame outs does include the 45 degree angle cuts.